At different times, your heating system will require various types of servicing. That’s why your best bet is to trust your system to a heating contractor who has the training and experience to provide the full spectrum of heating services your system will need over time. 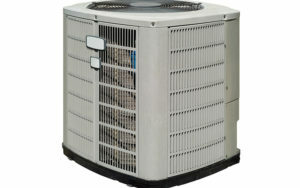 Straight Line Heating and Cooling has the expertise to be your go-to heating service provider. From new system installation to furnace repairs, our service technicians bring you all the services you need for dependable wintertime comfort. If you are in the market for a new or replacement heating system, our service technicians can help you select the heating technology that will work best for you. They will carefully assess your needs and answer your questions so you can make an informed decision. Regardless of the type of system you ultimately choose, you can be confident that our service technicians will have your system hooked up and running promptly and professionally. You will receive a 5-year warranty for parts and labor when you purchase a new system, in addition to a 10-year manufacturer warranty. A vital service you should always have waiting in the wings when you need it is high-quality heating repair service. Knowing you have a knowledgeable repair technician handy when your heating system breaks down will bring you real peace of mind. Since your life gets put on hold when you lose the ability to heat your home in the middle of winter, you’ll be glad you have Straight Line Heating and Cooling on the job. Whether your system breaks down in the middle of the day or the middle of a cold winter’s night, you can count on our experts to be there when you need them. Investing in maintenance can help your heating system last longer, function better, deliver greater comfort and cost less to operate. Schedule a heating tune-up every fall before the weather turns cold and change your system’s air filter regularly. Keeping your system well-maintained is the best way to make the most of your initial investment. When our service technicians complete your tune-up, you can count on them to inspect, tighten, calibrate and clean your system. Our convenient preventive maintenance plans make it easier and more affordable to make HVAC maintenance part of your regular routine. No matter which heating service you need, the qualified heating technicians at Straight Line Heating and Cooling have you covered. As a Trane Comfort Specialist dealer, we aim to meet our customers’ needs and expectations 100 percent of the time. Call us today to discuss your specific heating service requirement, and we’ll get started making sure you get first-class service. We provide free estimates and a 100 percent satisfaction guarantee. Our service area includes Paso Robles, Atascadero, San Luis Obispo, CA and the surrounding areas.